A Muslim woman from Kerala has written to Chief Minister Pinarayi Vijayan that she has been receiving death threats from hardliners for speaking against Triple Talaq. In the letter, Jamida, who is the secretary of the Khuran Sunnath Society, said that despite her repeated complaints about death threats, Police hasn’t taken any action. Speaking to Manorama Online, she said,”How can politicians call themselves elected representatives if women cannot feel safe after they raise their voice against triple talaq?”. According to the Manorama report, she was attacked at home twice. She alleged that the police let the culprits off after arresting them initially. “I have been getting death threats on social media that have disturbed my peace of mind. No action has been taken so far. They even threatened me saying that nothing would be left of me for my last rituals,” added Jamida. She also said that such threats would not stop her from speaking for oppressed. “A lot of these trolls cannot stomach the fact that I stand up against the suppression of Muslim women. More threats may come in the future but I will still continue to speak for the oppressed,” she said. Earlier this year, Jamida caught national attention after she openly opposed the practise of Triple Talaq. “As long as we live in a democratic country like Indian, abiding its Constitution, how can a Muslim man have a different law for his acts?” she asked. 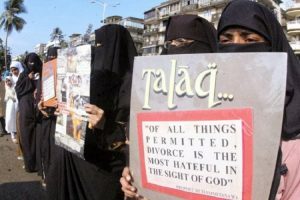 Khuran Sunnath Society, an NGO based in Kerala, was one of the petitioners in the Triple Talaq case that wanted the practise to be struck down.